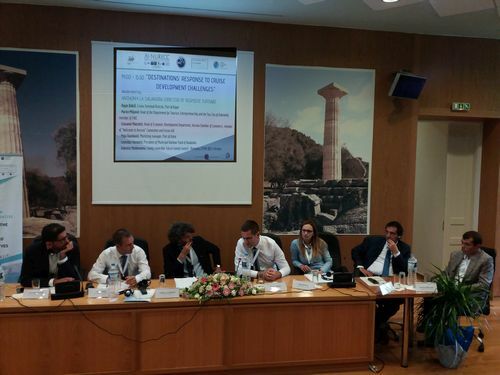 The event ‘Cruise Sector in the EU Strategy for the Adriatic and Ionian Region (EUSAIR) Area: challenges and future perspectives’, was held on 27 June in Ancient Olympia (Greece). The event was organised by Forum AIC, a partner in the AI-NURECC Initiative, which is coordinated by the CPMR. This AI-NURECC Initiative’s first event, held as part of its Task Force on Tourism and Cultural Heritage, was organised in collaboration with the Ilia Chamber of Commerce, which is a Forum AIC member, and the Region of Western Greece, which has the Presidency of the CPMR Intermediterranean Commission. There was also scientific support from the University of the Aegean and Risposte Turismo. 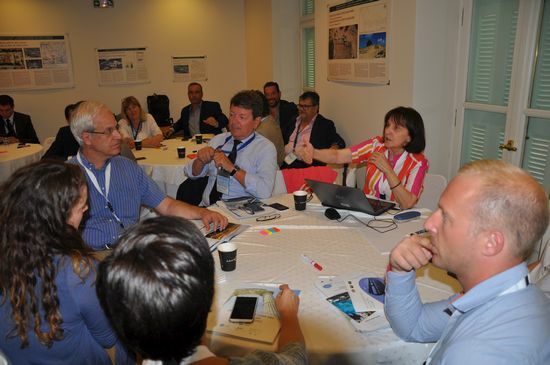 The event, attended by more than 80 professionals from the wider Adriatic and Ionian region, focused on topics such as traffic flows, sustainable cruise development, destinations’ response to cruise development challenges and best practices. Both the Pillars IV (Sustainable Tourism) and I (Blue Growth) Coordinators of the EUSAIR participated as speakers. Mr Valentin Moldoveanu, of Tulcea County Council, CPMR BBSC member, shared Tulcea County’s experience on the topic. The AI-NURECC Initiative was presented at the CPMR-BSEC Workshop on Project Promotion, held on 28 March 2018, in Istanbul, as an idea for closer Black Sea cooperation. Romania is the Coordinator of Priority Area 3 of the EU Strategy for the Danube Region (EUSDR) ‘To promote culture and tourism, people to people contacts’, a Strategy that overlaps geographically with the EUSAIR. Romania will have the presidency of the Council of the EU during the first semester of 2019.